Oh boy, I’m crazy in LOVE with something I found this week on Instagram! I love this more than chocolate. 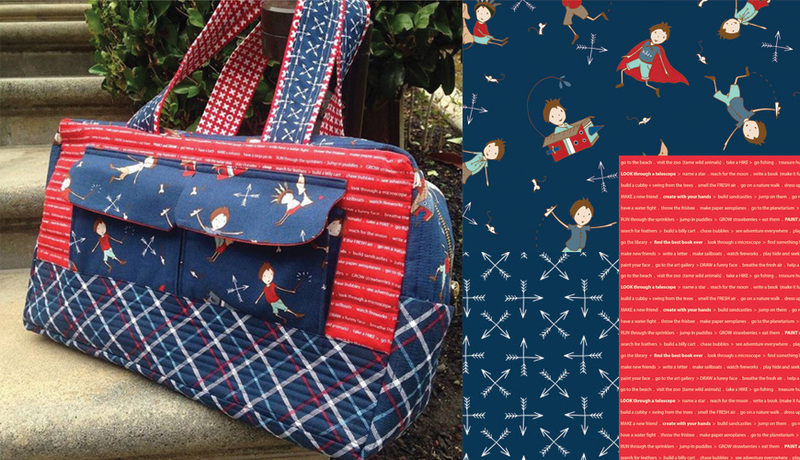 Made by Alicia from Bequiling.com – this is called the Cargo Duffle Bag (featuring our Greatest Adventure fabric) and the pattern was designed by Anna Graham from noodle-head.com and is available as a free download here!